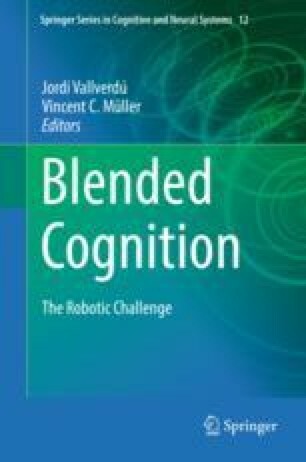 This chapter proposes a new conceptual framework for visualizing conversational interactions to build a common ground for productive human-robot interaction. We address conversation envisioning as a process of building and maintaining common ground by incorporating new information into the shared information structure. We discuss how we can build a common ground for human robot interaction by using a synthetic evidential study (SES) as an underlying methodology. We review the main ideas in SES, which integrates role playing game, agent play, and in-situ group discussion to uncover tacit thoughts and interaction of participants. We then introduce the idea of conversation envisioning in which we employ virtual reality for graphic recording (VRGR) to extend the framework of SES so that both observers and participants can visualize their thoughts in conversation. We also consider emotion and its relation to common ground to better analyze the conversation. We focus on a bargaining scenario, to illustrate how the framework of SES could be employed to help people realize subtle socio-ethical issues in social activities to design a robot that can engage in social interactions with people as well as other robots as well.